JAPANKURU: # Cosmetics ♪　Autumn Makeup with CANMAKE!!! Let's check out the new autumn items! 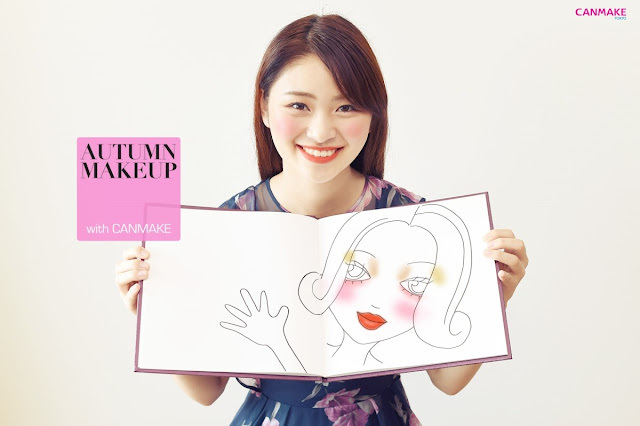 # Cosmetics ♪　Autumn Makeup with CANMAKE!!! Let's check out the new autumn items! Autumn is coming in Japan! 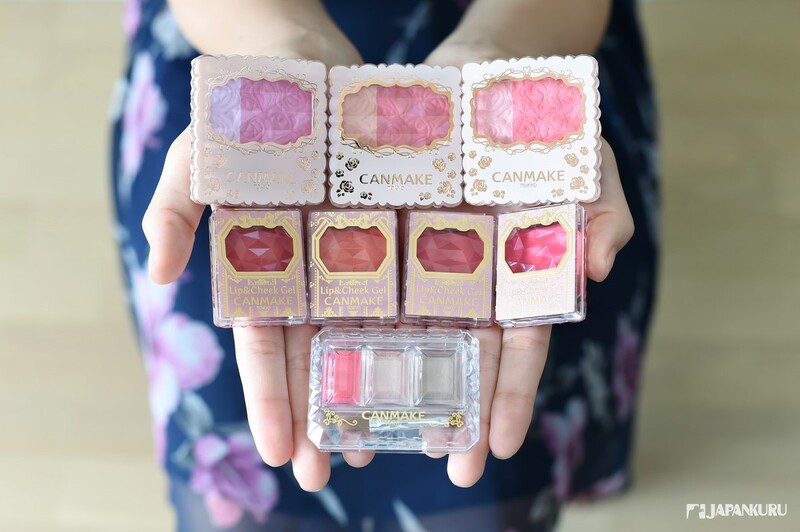 Let's have an image change this autumn with the new items of CANMAKE! Sooner or later, you might feel some coolness. And the color of the leaves gradually began to turn yellow! Oh!!! The harvest season has arrived! Let's make your autumn more colorful! 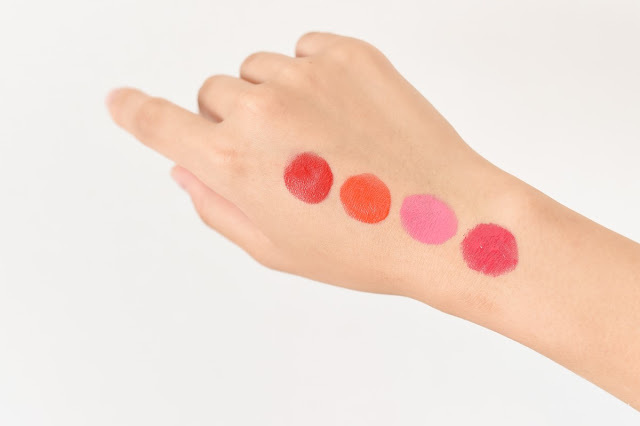 See how we keep up with the trend and challenge to have a new autumn style of makeup! Let's start with the eyes! First, let have a thin layer as eye shallow! We will do the coloring later on. # Okay!!! New item that will bring us a new remarkable performance from today! 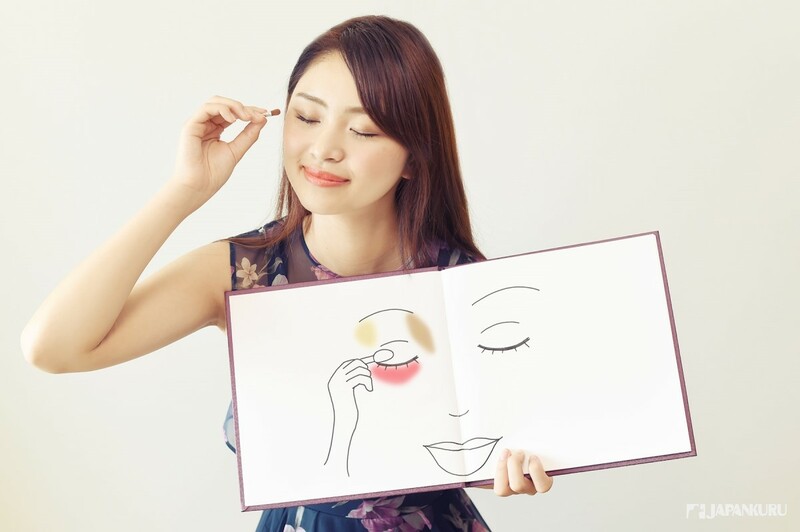 The rich royal jelly has moisturizing ingredients as eye shadow. Natural color, which is good with skin color. 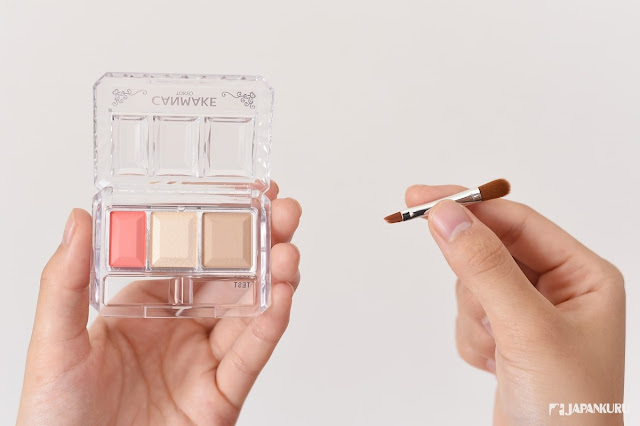 Put it on top of the basic eye shadow color, will give you a simple and natural makeup clearly! Today, we gonna use these 3 colors mainly! 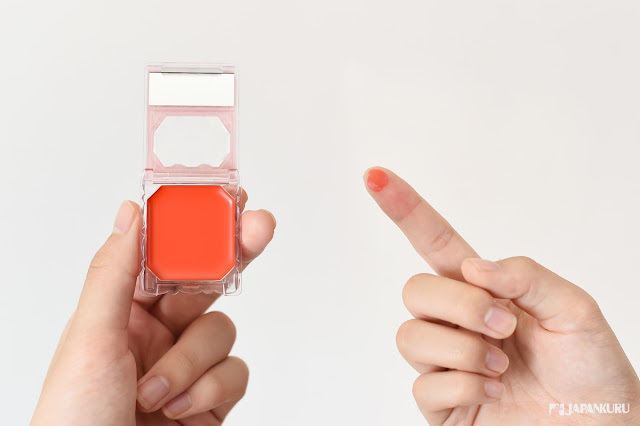 we highly recommend you to use this color! It helps you create a sweet makeup. then you can take a look at the 3 colors clearly! pink, white and light brown series. 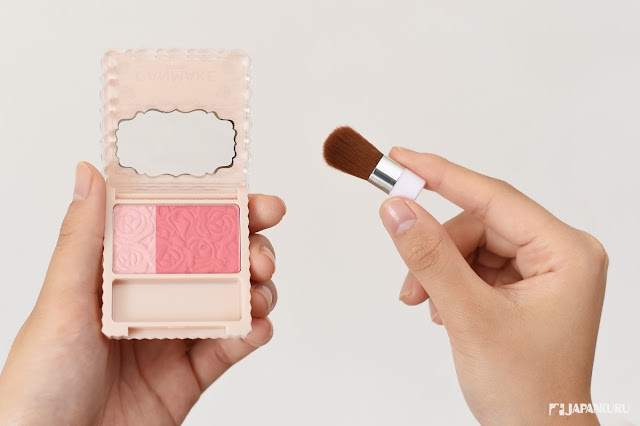 The eye shadow brush attached to the case has built two width. 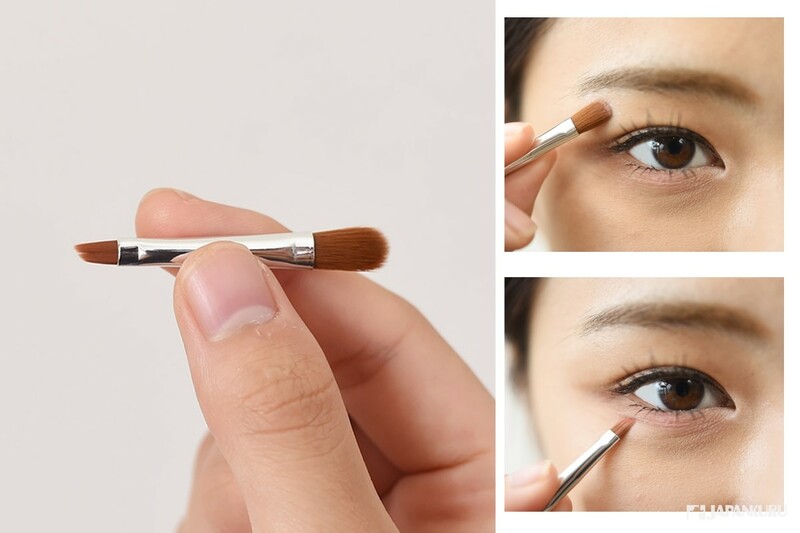 The narrow brush can be used at a time to draw a lovely pink underneath of the eyes. The wide brush can be used to brighten the brow area or add a shadow for the nose. Use the light brown color of the Secret Color Eyes (sweet fairy) as the shadowing part. Use the finger picks to put white color in the middle, gently apply to the brow to make it brightened! Pink is probably the most appropriate one! To create a simple and natural makeup, we need to enhance the sense of transparency. Good to have the soft pink color series!!! A cute makeup is done! The next step is the blush! Blush accounted for a relatively large part of the face makeup. 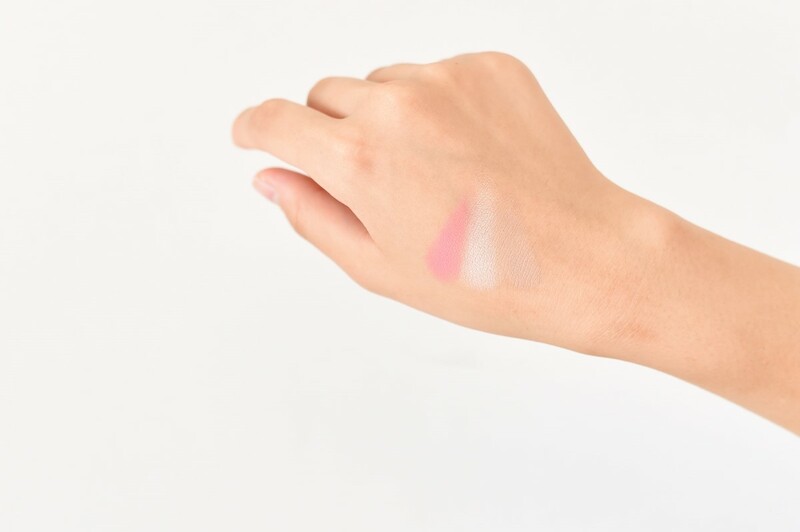 Let's have an inverted triangle blush to make you look more mature! The biggest feature of this double-colored eye shadow is its texture. Soft and fine, can easily and effective to hide pores. Have pearl and glitter ingredients. first coat with the matte blush, then put on the pearl and glitter color! can make the lighting effect looks more natural and obvious! A pure and natural sense, easy for people to approach! wanna have the charm and plump lips for this wonderful season! Apply in the middle and and gently spread it outward from the center of the lips. 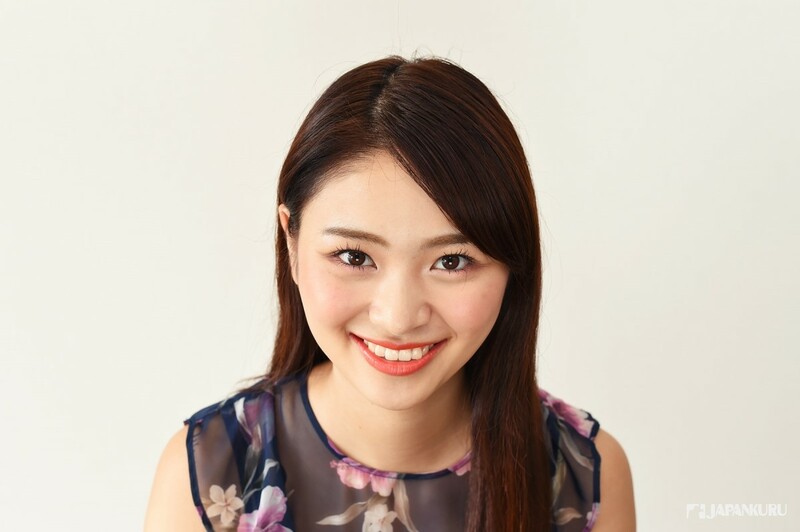 CANMAKE has been very focused on how the makeup can make the skin color looks better !! This is the type that you just slightly tip with a finger and let it melts at your body temperature. It is familiar with skin and retains for a long time. Moreover, it contains moisturizing ingredients for beauty! having this item is no doubt convenient! a autumn makeup is done very lovely and has a sense of maturity. Recently the popular keywords about beauty is pure. You also wanna try definitely! Come to get prettier in this beautiful season! 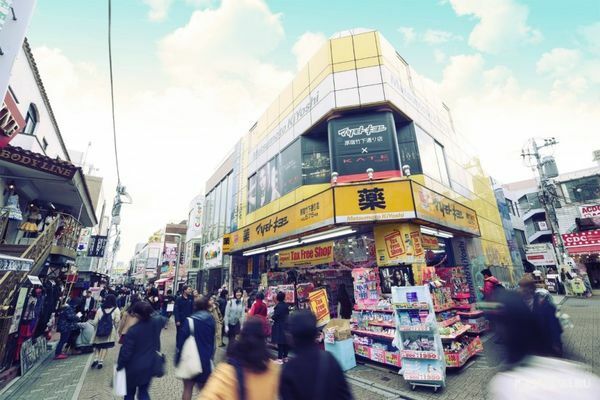 Popular drug store full out Japan. Matsumoto Kiyoshi store in Harajuku!